UBS Offices, New York, N.Y.
From the Archives: 1994 at CP West Portal! Close Clearance: A crew member of CR's TV-12, with forty TOFCs, checks clearances as it creeps by SPL-401 at 5 MPH on CR's LEHL at West Portal on March 6 1994. SPL-401 had battery problems on the high-and-wide dimensional car and was holding the siding until a new battery could be brought in. Bringing up the rear markers on SPL-401 would be a Westinghouse caboose. 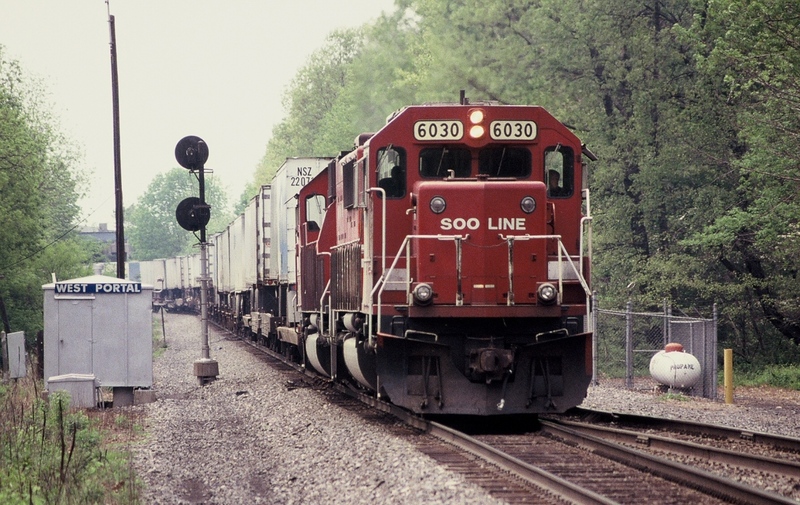 SPL-401 CR 7708 (GP38) would eventually become NS 2899. 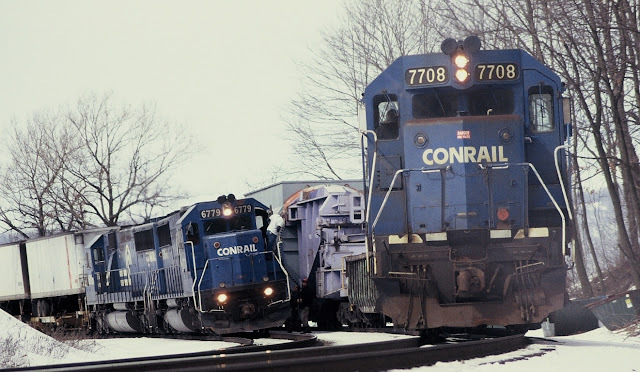 TV-12's 6779 (SD50) would eventually become CSX 2499. D&H's 266 always provided a pleasant surprise with its power consist. In this May, 1994 scene D&H 266 is passing CP West Portal led by SOO 6030 (SD60) and a unidentified second diesel with a consist of TOFCs. Partly visble in the background is the I-78 overpass. NORFOLK, Va., July 26, 2017 – Norfolk Southern Corporation (NYSE: NSC) today reported second-quarter financial results. Second-quarter net income was $497 million, up 23 percent year-over-year, driven by a 15 percent increase in income from railway operations, and a record operating ratio. Diluted earnings per share were $1.71, up 26 percent year-over-year. · Railway operating revenues of $2.6 billion increased 7 percent compared with second-quarter 2016, as overall volumes were 6 percent higher, reflecting growth within our major commodity categories of coal and intermodal. · Railway operating expenses increased $65 million, or 4 percent, to $1.7 billion as targeted expense reductions helped offset volume and inflation-related expenses. · Income from railway operations was $888 million, up 15 percent year-over-year, and the operating ratio, or operating expenses as a percentage of revenues, was 66.3 percent, an all-time record. Introducing the WoodsEdge Express and the Picnic Train! 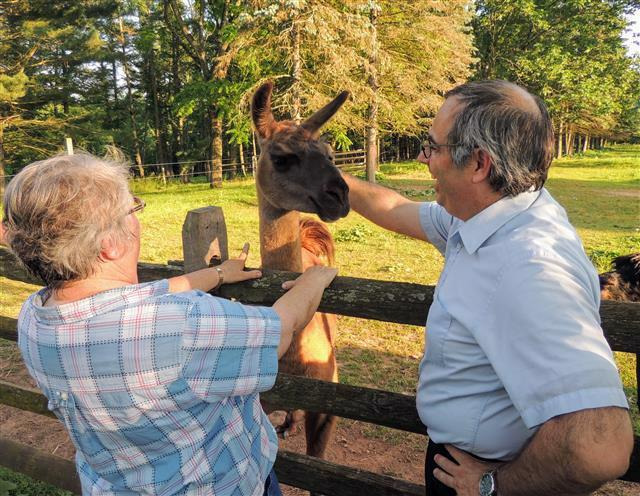 Ride the train to WoodsEdge Farm! 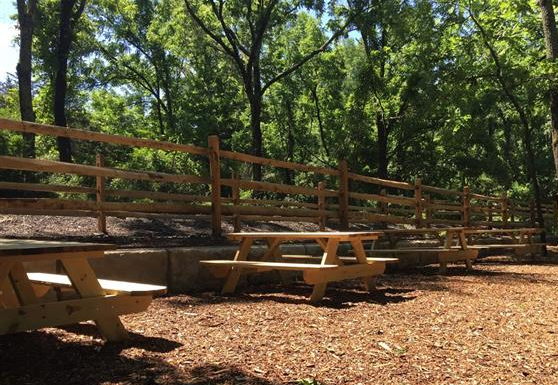 Now Arriving: New Events at BR&W Railroad! 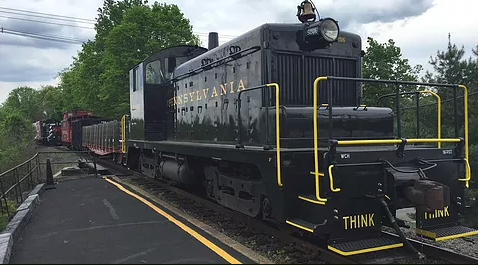 Ride an authentic mixed freight train featuring equipment from Pennsylvania Railcar Restorations! Your train travels all the way from Flemington to Bowne Station, and will feature an exclusive photo opportunity at Bowne! Details and tickets available on our website. Western NY railroading odds & ends! Made a three day trip recently out to the western NY in the Lockport area and encountered some interesting railroad sights along the way. Sooo... here goes! E8s at the Medina RR Museum-In 2007, the Medina Railroad Museum acquired a pair of 1953 vintage E8 Passenger Locomotives in their original New York Central Lightning Stripe paint scheme! 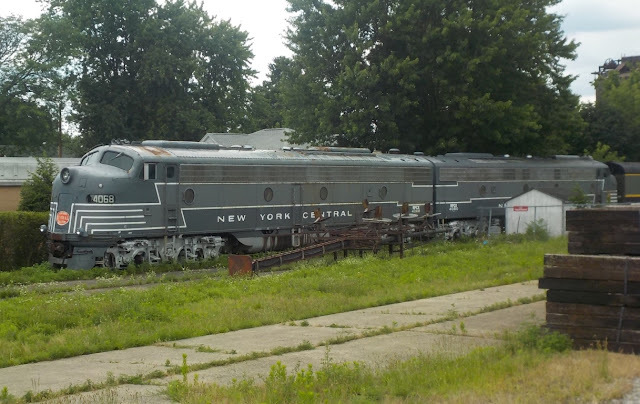 #4080 and #4068 are presently being stored in Medina, NY near the museum. When shop time can be leased, a small group of volunteers is diligently working toward bringing both units up to FRA requirements for service on the museum's excursions between Medina and Lockport. The HO train layout inside the museum is huge! It measures 204 feet long and 14 feet wide. 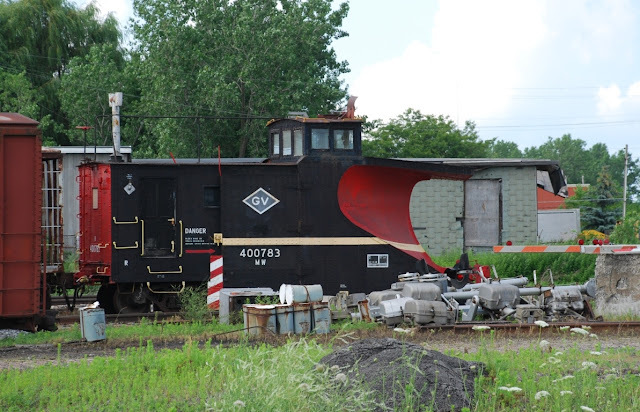 Snowplow GV 400783 in the Genesee Valley yard in Lockport-sits idle in the yard on a hot and humid July 17 summer's day. 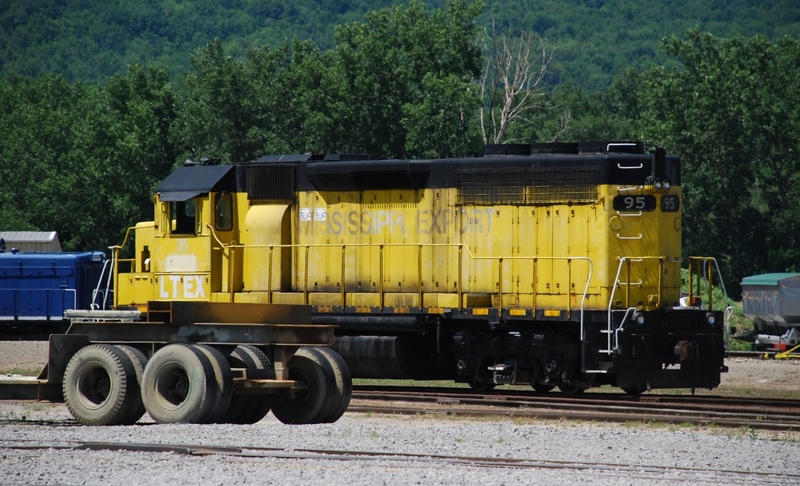 LTEX 95 in Dansville-still sporting its faded "Mississippi Export" heritage, LTEX 95 works at the LMC Industrial Contractors, a locomotive rebuilder facility. Mississippi Export Railroad is a 42-mile shortline railroad operating in the state of Mississippi from Pascagoula to Evanston. 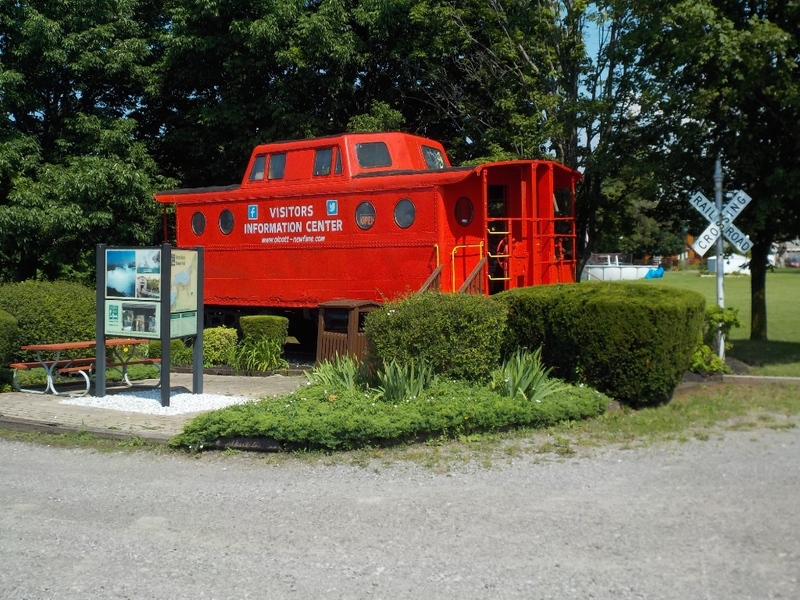 Olcott's Tourist Information Center-is a 1942 vintage caboose of more recent CR heritage. This caboose's history prior to its CR days is unknown. It was dedicated as Olcott's tourist information center in April, 1989 and is sighted at the intersection of Routes 18 and 78. Inside the original interior remains almost intact and has an ample supply of brochures related to area attractions. NORFOLK, Va., July 18, 2017 -- As part of ongoing efforts to enhance customer service and improve operating efficiencies, Norfolk Southern (NYSE: NSC) plans to consolidate its Central Division headquarters operations in Knoxville into three surrounding divisions. The consolidation, effective on or about Nov. 1, will reduce the number of operating divisions on NS’ system to nine from 10. Dispatching responsibilities now handled from the Central Division, which includes track primarily in Tennessee and Kentucky, will be divided among operating divisions headquartered in Birmingham, Ala., Decatur, Ill., and Fort Wayne, Ind. The move will affect a total of about 50 employees who work at the Central Division headquarters in management, dispatching, and clerical positions. Dispatchers will have the opportunity to transfer to one of the other three divisions or apply for vacancies across the system. Administrative and clerical employees will be offered opportunities to apply for vacant positions elsewhere. Current yard and field operations on the Central Division will not be affected by the headquarters closure but will be reassigned among the other three divisions. More than 250 employees will remain in Knoxville to provide safe and reliable service to local customers and support the yard’s role as a hub for through-train operations. 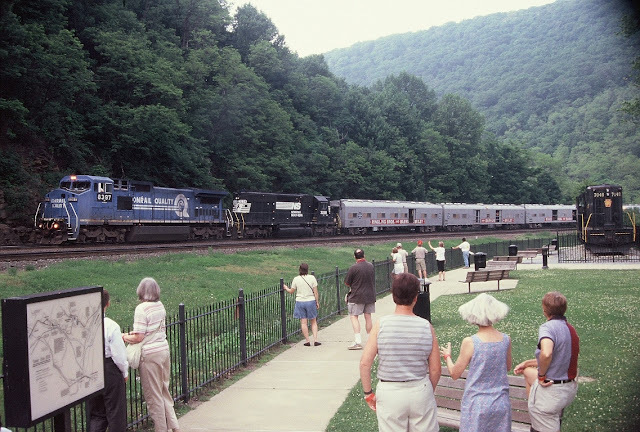 With NS 8397 (ex-CR 6191) and NS 3228, Ringling Brothers Blue Unit Circus Train passes around Horseshoe Curve after completing a crew change and water stop for the animals in Altoona. The BUCT had departed Wilkes-Barre (PA) earlier in the day with CP power, switched over to NS power in Harrisburg (PA) before continuing its 1,629 mile journey to Oklahoma City and was scheduled to arrive on June 13 for its opening show performance on June 14. This train was 5,044 feet long, weighed in at 4,135 tons and would be handed off to BNSF in Kansas City (MO) for the remaining leg of this trip. Mixed Freight to Bowne Station! Ride a mixed freight train all the way from Flemington to Bowne Station! Ride the Mixed Freight to Bowne Station! 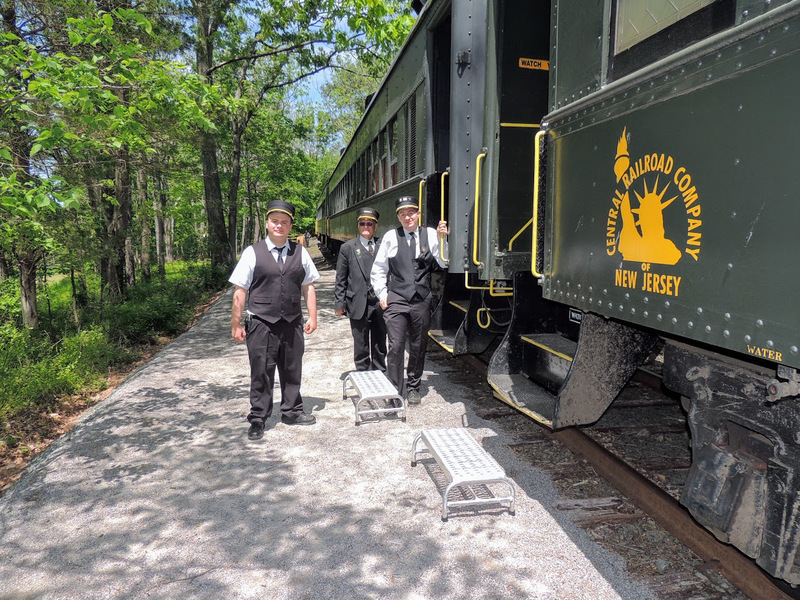 On July 22-23, come ride a genuine mixed-freight train all the way from Flemington to Bowne Station! Your journey will include a brief stop at Ringoes, a unique photo opportunity at Bowne Station, and a short lecture about the history of mixed freight trains and Bowne Station. Historic freight equipment provided by Pennsy Railcar Restorations.